“The Lord does not let the righteous go hungry but he thwarts the craving of the wicked” (Proverbs 10:3). So says scripture, but that isn’t quite borne out in modern society nor, sadly, in the tax-exempt sector. Last year, Senator Charles Grassley (R-IA) led a deep and thorough investigation of some of the nation’s most ostentatious televangelists in the nation, the so-called “prosperity” televangelists who seem to have become quite prosperous from their preaching over the airwaves. 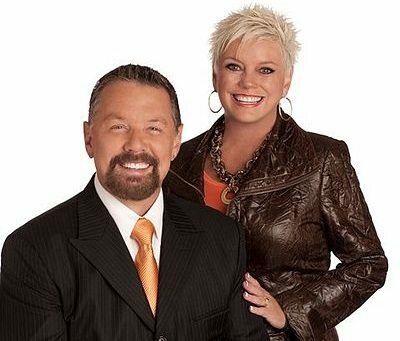 You know them—Kenneth and Gloria Copeland, Joyce Meyer, Benny Hinn, Creflo and Taffi Dollar, Eddie Long, and Randy and Paula White (only Meyer and Hinn appear to have cooperated much with Grassley’s review), all preaching the prosperity gospel, defined by Cathleen Falsani, the religion columnist of the Chicago Sun-Times, as an “insipid heresy…[that] teaches that God blesses those God favors most with material wealth.” In our evidence-based sector, the strongest evidence that the prosperity gospel works is in the Bentleys, Rolls-Royces, Gulfstreams, and Citations that they use under the guise of carrying out the work of their ministries. Prosperity as evidence of a life well lived, eh? Just about nothing happened with Grassley’s investigation, which he pursued with scant support from Democrats on the Senate Finance Committee and wrapped up with no legal action against any of these people, much less others who have picked up on their prosperity theology (or “prosperity lite”) with aplomb, such as Joel Osteen and T.D. Jakes. The message of inaction, accompanied by the supposition of self-regulation by the Evangelical Council for Financial Accountability, which issued a very weak report on supposed changes in how to oversee the likes of Kenneth Copeland and Eddie Long, reached the IRS, which recognizes the Daystar television network, along with the Christian Broadcasting Network, the Trinity Broadcasting Network, and others) as churches. That means they get all of the benefits of accepting tax-deductible charitable donations and avoiding taxation on their massive amounts of inflow but, unlike 501(c)(3) public charities, they get to avoid public disclosure of how and toward what they use the millions of dollars they rake in. Donors give about $35 million a year to Daystar Television, which has $233 million in assets. NPR figured this out not from any public revelations made by Daystar to the IRS, but from court records as part of an employee lawsuit in 2011. According to NPR, the records “show generous donations and loans that Daystar made to friends, and records of charitable giving that looked different from what Daystar describes on the air.” Daystar’s founder and CEO, Pentecostal minister Marcus Lamb and his wife Joni, refused to speak to NPR, but Lamb’s director of marketing responded to NPR in writing, equating NPR and Daystar as “nonprofit entities…[that] both enjoy all of the same benefits and obligations, other than the fact that Daystar does not have to file a form 990, due to its church status, for which it is fully compliant under the law.” It’s no surprise that, besides running its own lineup of preachers, Daystar sells television time to Jakes and Osteen for their on-air ministries. Here’s where the NPR review went off the rails: It cited former employees who said that Daystar isn’t a church, but a massive money-making television network, as though nonprofits don’t on occasion make money. The reality is that the IRS rarely ever enforces its “14-point test” for determining whether an applicant qualifies as a church (the criteria include regular services, Sunday school, and a regular congregation) and doesn’t seem much inclined to re-review “churches” like Daystar to determine if, perhaps, they might have been a church for a moment and somehow drifted. It’s obvious that the IRS has no desire to do battle over issues of government interference with religion, which may have been Grassley’s rationale for turning his review over to ECFA (or the reason his Democratic counterpart, Max Baucus, ducked the issue altogether). To be seen as attacking religion, even if it is the prosperity televangelists, could cost votes. The NPR examination also gave too much credence to the debate over whether Daystar actually delivers on its purported charitable activities. Like the televangelists reviewed by Grassley, Daystar announces lots of charitable donations, such as donations to a home for Holocaust survivors in Israel, a hospital in Calcutta, and a ministry supporting women in Moldova. According to NPR’s review of Daystar’s court-reviewed finances, only about five percent of its donor revenue goes to charitable giving. CharityWatch’s Daniel Borochoff told NPR that Daystar should tell donors that only about five percent of their giving goes out of Daystar to other charities. In reality, the percentage of of tax-deductible donations to churches in general that goes for other-than-sacerdotal activities is not much greater. The point is that the tax structure allows donations for religion to be treated the same as donations for charitable good. Maybe Daystar isn’t telling its donors accurately and fully what it’s doing with their generosity, but it isn’t all that different than overall giving to tax-exempt churches. Some of the examples of Daystar’s “charitable donations” are shocking and obnoxious (our favorite was the donation of $60,000 to Israeli lawyers who helped Daystar get a cable TV contract), but other expenditures are just as odious—a $2.3 million loan to one of Lamb’s golfing buddies and former assistants, buying copies of Joni’s autobiography at retail bookstores so that it would climb higher on bestseller lists, and over half a million to a NASCAR driver for his ministry.